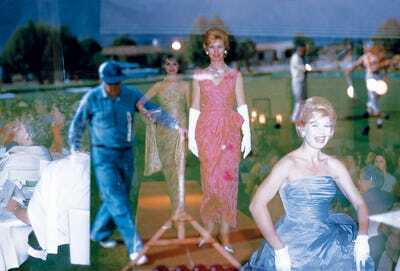 Palm Springs has been known as a ‘Playground for the Stars’ since the 1930s. Nestled near the base of the San Jacinto Mountains in southern California, celebrities such as Judy Garland, Elizabeth Taylor, Frank Sinatra, and many others have called the city their home — or at least their winter get-away. 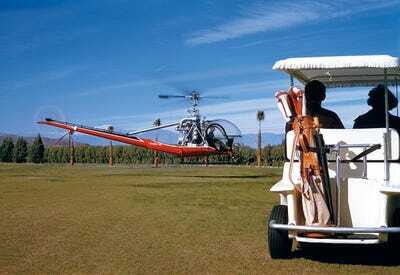 Palm Springs has also been a favourite to many U.S. Presidents, and various business tycoons. 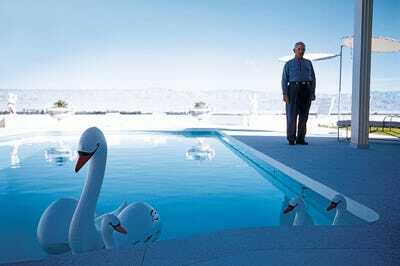 Doisneau’s critical eye captured a humorous take on Palm Springs during the cusp of the 1960s era. 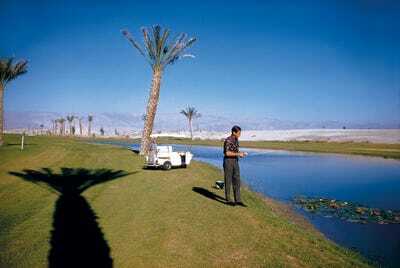 His outtakes from his visit have been collected in the book “Robert Doisneau: Palm Springs 1960.” Ahead, a selection of images from the book. 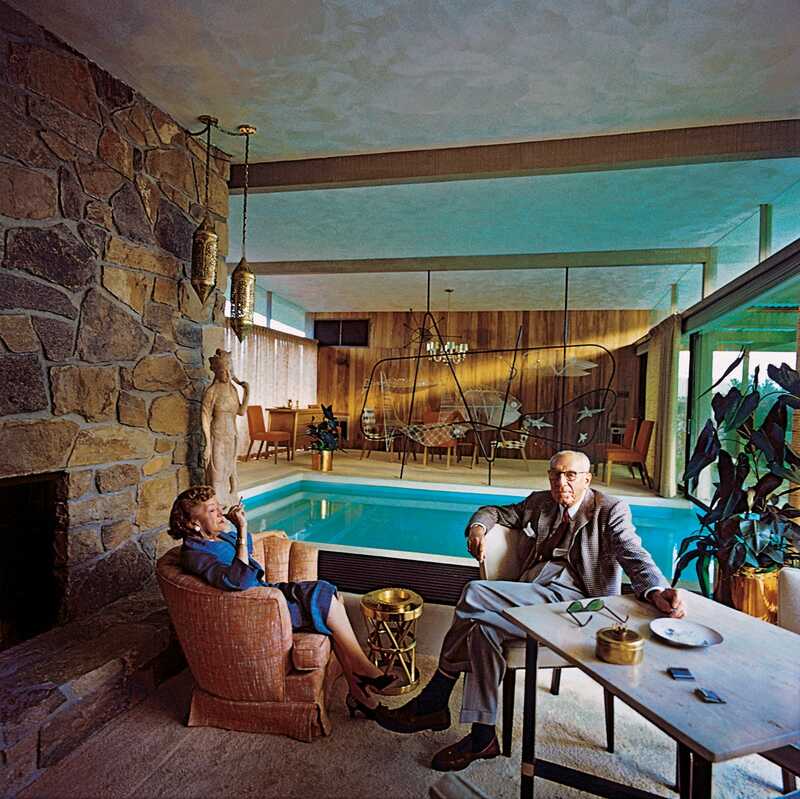 The private pool is a vacation home must in Palm Springs -- about 75% of the homes have them. 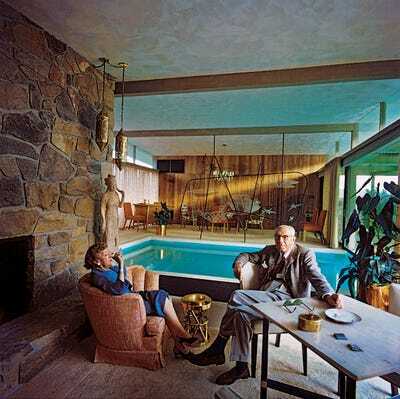 In the '50s and '60s, pioneering architect William Krisel built more than 2,000 mid-century modern homes in Palm Springs -- including the famous Elvis Presley Honeymoon Hideaway -- which is currently on the market for $6 million. 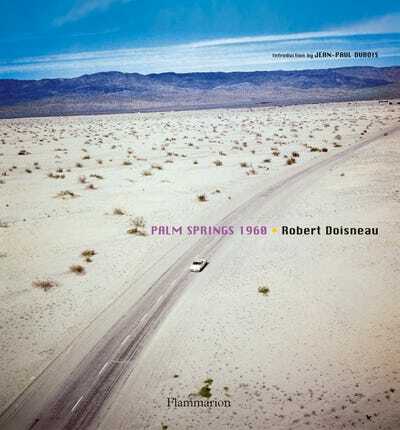 As Dubois says in the intro, Doisneau's images of Palm Springs in 1960 capture the end of an era -- a 'twilight time' in Palm Springs.